Donald Trump was rushed off stage by Secret Service agents during a security scare. The media claimed to be the real victims in the incident at a campaign rally. Politico’s Glenn Thrush blamed Trump for the incident, which turned out to be a man allegedly pulling a folded sign from his waistband, not a gun. Thrush deleted the tweet, but then reiterated his accusations against Trump in a profane tweet. 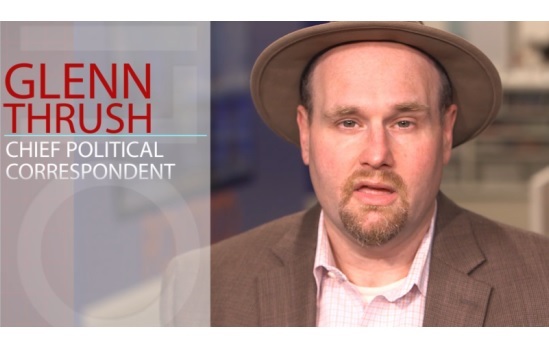 Glenn Thrush has a lot of nerve. The liberal hack was caught by Wikileaks sending reports to the Clinton campaign for approval before they were published at the Washington Post. Now he’s blaming Trump for the attack last night at his rally by a Clinton hack.